Will Ford is a minister and author passionate about cultural transformation. Will travels throughout the U.S. speaking on intercession, reconciliation, awakening and reformation. 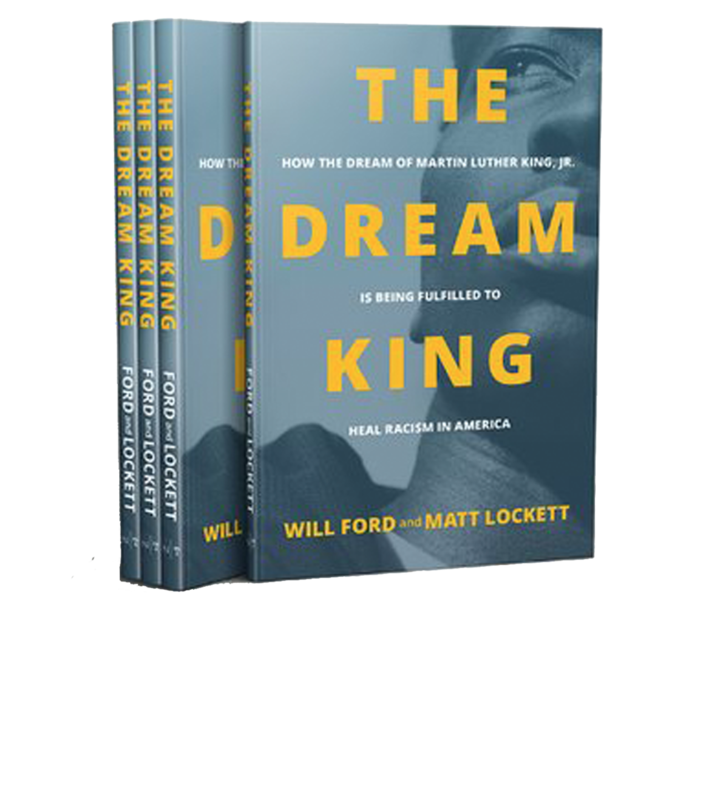 The Dream King is the astonishing true story of Will Ford and Matt Lockett—two men whose lives are woven together by history and the hidden hand of God. It reveals an inspiring narrative that exposes systemic injustice and delivers new keys for understanding the nation’s past, present, and future. Will Ford currently serves as Director of the Marketplace Leadership Major at Christ For The Nations Institute, in Dallas, Texas. A Banking and Finance graduate from Morehouse College and Bible student from Emmaus Road Ministry School in Euless, TX, he is the founder of Hilkiah Ministries. Many know him internationally, however, for his family heirloom, and it’s connection to slavery and prayer for freedom. 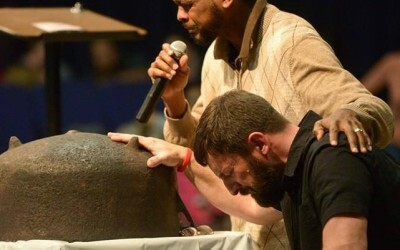 Will is the owner of a kettle pot used by slaves in his family for prayer. Forbidden to pray by their slave master, Will’s ancestors would pray underneath the kettle late at night to muffle their voices. Turns out that they were not praying for their freedom after all, but the freedom of the next generation. 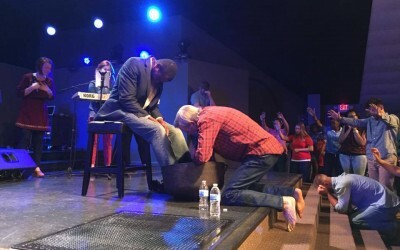 Will uses this prayer bowl as a catalyst for gathering groups together for prayer and teaches on intercession, revival and societal transformation. He believes that it was the prayers of a godly remnant of African American, Native American and White Christian abolitionist that birthed revival in America and brought the demise of slavery. Will teaches that since his ancestors were Christians, not only is this part of his heritage but every Christian, because of our unity in Christ. 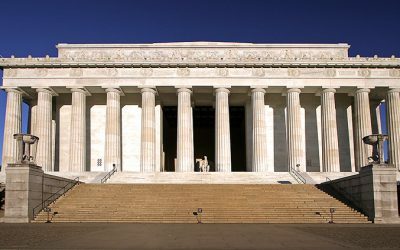 He also believes that were it not for revival’s influence in the marketplace, slavery would never have ended. Will has traveled the around the world speaking in churches and conferences, on intercessory prayer, influence in the marketplace and societal transformation. 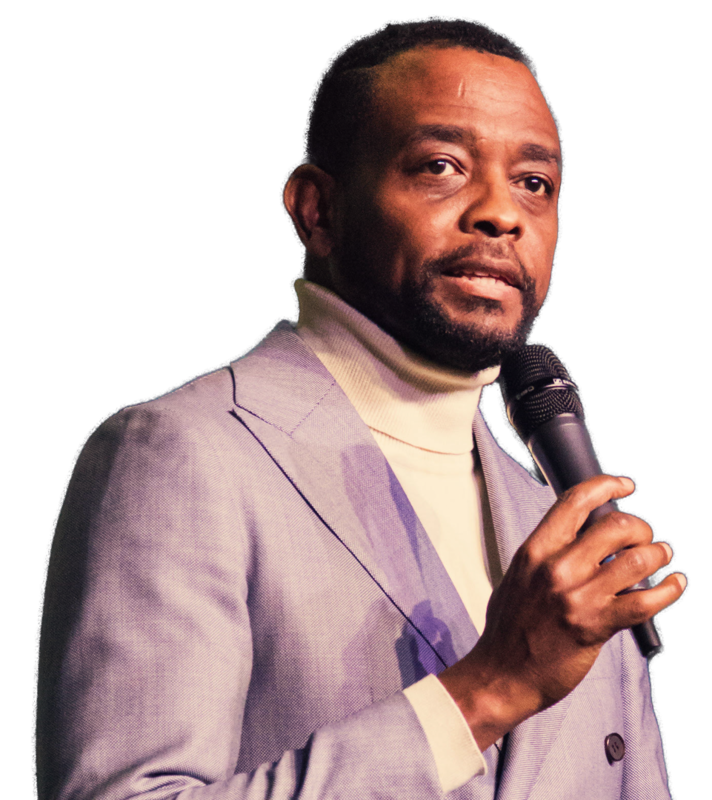 He is a privileged participant in prayer and speaking at The Call, a multigenerational prayer gathering that has gathered more than 1,000,000 people since September 2000, to fast and pray in 12-hour solemn assemblies for revival, led by Lou Engle. Will has been interviewed by CBS, featured on The 700 Club and also in Charisma and other Christian magazines. His recent book co authored with Matt Lockett is “The Dream King: How The Dream Of Martin Luther King Jr. Is Being Fulfilled To Heal Racism In America.” He is also co author with Dutch Sheets of “History Makers: Your Prayers Have Power To Heal The Past and Shape The Future,” Will is also a recent recipient of the “Mantle of Destiny Award” from the King Family Legacy Foundation and is currently pursuing his Master’s in Leadership from Dallas Baptist University. Will and his wife Dehavilland live in Dallas, Texas. Join Will's mailing list to receive the latest news and updates.